Yard waste can be referred to as the weeds, hedge/shrub trimmings, garden materials, grass clippings, leaves and brush that has a diameter of one inch or less. 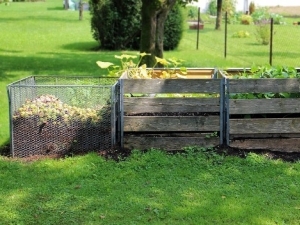 When collecting yard waste and leaves, the most cost-effective method to do it is by conducting yard waste drop-off and applying the so-called composting program. The composted material that results from the latter can be used for soil enrichment and is sometimes offered free to residents. Be aware that local governments have their respective policies on proper yard waste storage and collection. These can include the right time of the day to place out yard waste, the recommended bags to use depending on the type of yard waste, the maximum allowed weight and length if yard waste will be tied in standard bundles, and the acceptable yard waste materials for collection. Apart from understanding the allowed material for collection along with the maximum length and diameter, it also pays to know which type of material cannot be accepted for collection. This way, you can avoid the risk of paying fines or even wasting time and energy in putting out waste which will only be ignored for pick-up. The following materials are non-acceptable for yard waste collection. The way you set out yard waste will depend on the type of waste material you are throwing away. If you need to get rid of limbs and brush, you need to make sure that they are in bundles which should be securely tied. The length should stretch not longer than three feet. Likewise, the diameter should not be higher than 3 inches while the weight should not be over 75 pounds. In terms of using bags, you should be able to use the ones that are biodegradable. Plastic bags should also be clear. Black plastic bags that contain yard waste will most likely get ignored at collection. You can get clear plastic bags and paper yard waste bags in a number of home improvement, local hardware and discount shops. For an easier and quicker way to get rid of yard debris and waste, you can call our office at 1300Rubbish to get all the help you need in cleaning it all up. With our decades of providing rubbish removal services in major cities and areas around Australia, we have gained the trust and admiration from our past customers. Just dial 1300 78 22 47 and get a free and non-obligation quote from our friendly customer service team.